This Newfoundland nicknamed Misty sold and went to a new family. 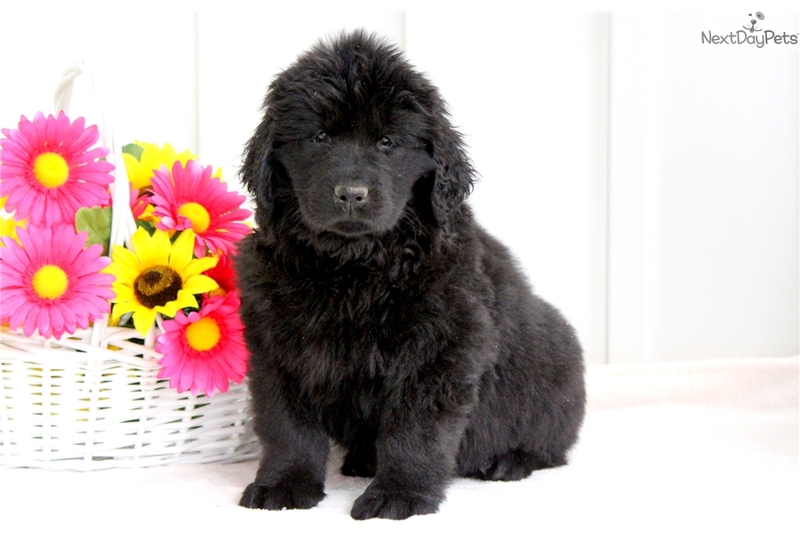 This stocky Newfoundland puppy will melt your heart! She is a real beauty with lots of love to give. This puppy is absolutely stunning and she is super social. This puppy is AKC registered, vet checked, vaccinated, wormed and health guaranteed. Her date of birth is March 15th and her parents are SS's Snuggles & LJ's Mojave Hunter. Mom weighs between 115-120 pounds and dad weighs 150 pounds. Don't miss out on this beautiful gal! Please contact us for more information or check out our website at www.keystonepuppies.com for pictures of all of the available puppies for sale.